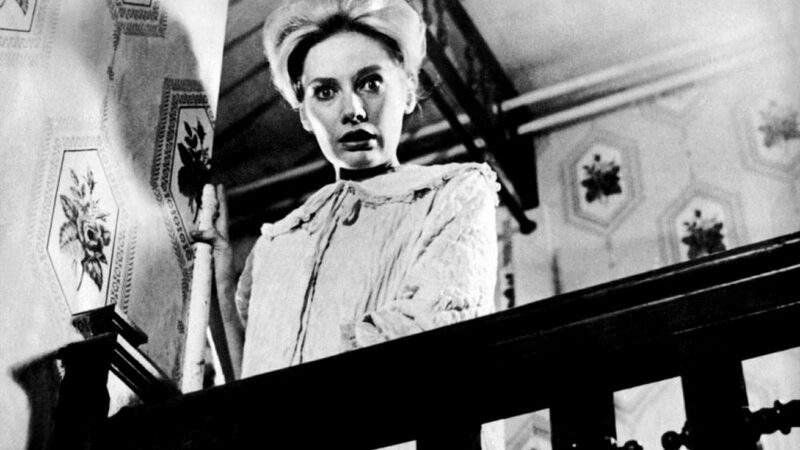 Carnival of Souls is a strange, atmospheric and unforgettable horror film. It focuses on a young church organist Mary Henry (Candace Hilligoss) who is haunted by visions of a ghoulish netherworld after surviving what appears to be certain death when a car in which she is a passenger, plunges over the edge of a bridge into the river below. Mary begins a new life in a sleepy Utah town, home to a derelict carnival and dancehall. Still struggling in the aftermath of her accident, she is haunted by an enigmatic figure that slips inside her dreams and calls her to the ruins of the former pleasure ground – about which the local Mormon congregation know more than they choose to reveal. If you like this, you may also be interested in the Carnival of Souls Cinema in the Dark event.